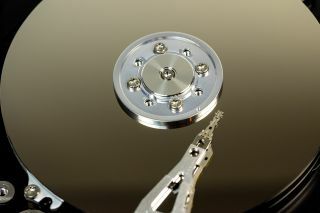 Initial testing of 8TB hard drives is promising for higher capacity HDDs. Mechanical hard drives are the go-to storage medium for mass backup chores, but do you sacrifice quality and reliability when opting for a higher capacity HDD over several lower capacity drives? That doesn't appear to be the case, according to the latest HDD reliability report by Backblaze, a popular cloud backup service. Backblaze's report for the second quarter of 2016 represents over 250 petabytes of data stored on 68,813 operational HDDs used to store encrypted customer data in its data center. It's also the first one to provide any kind of meaningful preliminary data on how 8TB capacity HDDs fare in a data center setting. Out of the nearly 69,000 HDDs in operation, 45 were HGST 8TB (HUH728080ALE600) drives and another 2,720 were Seagate 8TB (ST800DM002) drives. The reason its 8TB deployment is heavily weighted to Seagate is simply because of cost. Ouch. Nearly 20% failure rate on Seagate 4TB drives. "For the last year or so we kept saying we were going to deploy 8TB drives in quantity. We did deploy 45 8TB HGST drives, but deploying these drives en masse did not make economic sense for us," Backblaze explains. "Over the past quarter, 8TB drives from Seagate became available at a reasonable price, so we purchased and deployed over 2,700 in Q2 with more to come in Q3." Out of the 45 HGST 8TB HDDs deployed, just two of them failed during Backblaze's testing period, which it extrapolated to an annualized failure rate of 3.2 percent. Seagate's drives fared equally well—Backblaze observed just 4 failures out of what it calculates to 44,000 drives days for an annualized failure rate of 3.3 percent. "Some people question the usefulness of the cumulative annualized failure rate. This is usually based on the idea that drives entering or leaving during the cumulative period skew the results because they are not there for the entire period," Backblaze says. "This is one of the reasons we compute the annualized failure rate using 'drive days'. A drive day is only recorded if the drive is present in the system. For example, if a drive is installed on July 1st and fails on August 31st, it adds 62 drive days and 1 drive failure to the overall results." While not everyone might agree with how Backblaze calculates failure rates, as long as it's consistent, we can compare results. And when comparing results, the 8TB models look good, as the cloud backup service notes. Backblaze is so confident in the 8TB models that it's getting rid of its HGST 2TB drives for the added storage space. The 2TB models have been "rock stars" for Backblaze with the latest report showing an annualized failure rate of just 1.6 percent.